but finding it overwhelming to even start wrapping your head around it? but you are not sure what you need to do exactly to make it happen because you don’t have a clear strategy? that you keep procrastinating when it comes to editing and updating your current CV? I hear YOU and let me tell you this; you are not alone in this feeling! You’ll learn 16 ways to find great teaching jobs abroad. You’ll find out which skills, traits, and teaching initiatives are truly wanted by headteachers abroad. You’ll have a choice of 3 tried-and-tested CV templates. You’ll have swipe files to help you craft your CV and your cover letter. You’ll be 100% confident that your CV and cover letter will sell you and your strengths to all the schools you apply to. You’ll be a pro at adapting your CV and cover letter to suit individual schools. 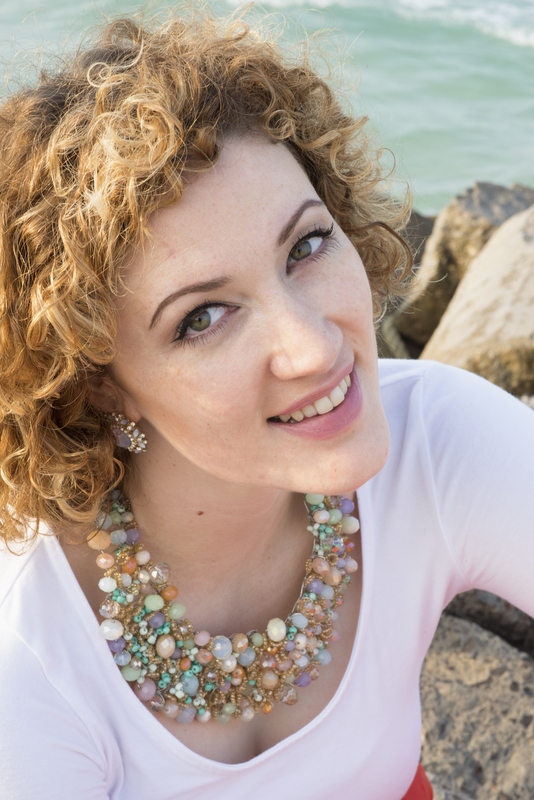 You’ll have lifelong access to an online course that teaches all this and more with the benefit of a private Facebook group for constant support and guidance from a current expat teacher who has secured 12 teaching jobs at great schools all around the world. Hi! 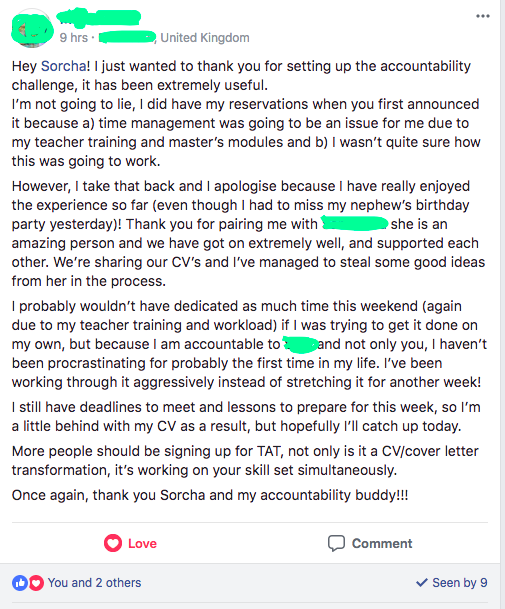 I am Sorcha and “Teach Abroad Transformation” is my creation! Hello there! I’ve been teaching in the Middle East for the past 6 years, and I can honestly say it’s the BEST, most empowering decision I’ve ever made. At the moment, I am teaching at a highly reputable school in Dubai. Before that, I taught at a prestigious British School in Qatar. In fact, over the last 6 years, I have been offered 12 teaching jobs at highly reputable schools in the Middle East, Asia, and Africa. Today, I am also the proud founder of the 6,400+ member-strong Empowering Expat Teachers community! This was not always my story… 7 years ago, I was teaching in the UK, spending over 50% of my (low) salary on rent, and had practically no savings. I was incredibly stressed, exhausted, overwhelmed with paperwork, and really struggling to enjoy my job. Then I made the decision to teach abroad and I have never ever regretted it! In my time teaching overseas, I’ve saved €163,000+ saved (so far!). I’ve ticked off 12 amazing countries and experiences ticked on my bucket list, including walking the Great Wall of China, trekking to Macchu Pichau in Peru, salsa dancing in Cuba, and safari-ing in Tanzania! 2 years ago, I bought a beautiful 4-bed property in my home country and last year, I bought a 3-bedroom apartment in Spain, where I hope to retire eventually! How have I done this? By creating an outstanding CV and cover letter that is so appealing to headteachers abroad that I always secure an interview for pretty much any teaching job overseas I apply to! Being highly sought after by numerous outstanding schools abroad means I always get the best location, school, salary, and teaching package for me. This has contributed massively to what has enabled me to save over €163,000 in 6 years of teaching abroad. WHAT WILL YOU GET WITH YOUR TEACH ABROAD TRANSFORMATION COURSE? Which skills, personality traits, and teaching initiatives are highly sought after? Written and video instructions for every module! Just decide which clear and well-formatted CV template you want, before I show you how to best complete each section! I will use my expertise and expat teaching experience to read and review your current CV OR cover letter once. I will provide you with feedback on how you can revamp your CV OR cover letter and catch the eye of specific schools/ jobs abroad! A one time payment of €97! A one time payment of €107! I will use my expertise and expat teaching experience to read and review your current CV and cover letter once. I will provide you with feedback on how you can revamp your CV and cover letter and catch the eye of specific schools/ jobs abroad! A one time payment of €137! Is it REALLY only €107? Are there any hidden costs? It REALLY is only €107 (one time fee!) and there are no hidden costs! Can't I just go to a local CV writer? Yes, you definitely could, there are definitely pros and cons. Getting your CV written by a local CV writer would cost at least €150, plus would you end up with a CV specifically focused on making a great impression on headteachers abroad or just a generic CV? – Lifetime access to our closed Teach Abroad Transformation Facebook Group where other like-minded teachers share their ideas, challenges and questions, and where you can get direct support from me! Yes! I want you to be completely excited, happy and delighted with your purchase, which is why I offer a 24-hour, no questions asked, money back guarantee (from the day you pay). If you are unhappy with your Teach Abroad Transformation course for any reason and let us know within 24 hours of the time you purchased, I will refund you in full.